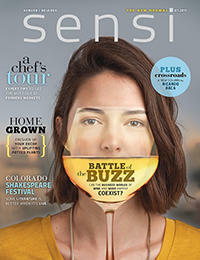 The July 2017 digital edition of Sensi Magazine Denver/Boulder is online now. Look for print copies of the magazine at shops near you. 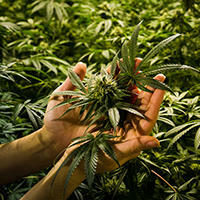 “I can’t grow my six plants (three in flower, three in vegetation) just anywhere. They must be in an “enclosed, locked area that can’t be viewed openly,” which means, according to the state’s website, “plants can’t be outside.” That’s not entirely true. Amendment 64 to the Colorado Constitution makes growing outdoors “not unlawful” if it “takes place in an enclosed, locked space” and “not conducted openly or publicly.” That’s confusing, and a lot of other states have followed Colorado’s lead. Oregonians can grow four plants anywhere on their property, but citizens in California, Massachusetts, and Alaska must keep their plants hidden and secured, and gardeners in Maine must also tag them. Keeping up with state and local laws, which can change on a dime, isn’t easy. Still, law reform is opening up a world of possibility for gardeners across the country who—like me—embrace cannabis as an exotic new plant. Susan Sheldon, a landscape architect and master gardener in Amherst, Massachusetts, is one of them. Despite years of rigorous training, Sheldon had no idea how to grow cannabis. (It’s not discussed at the Garden Club of Amherst.) She learned online and now has cannabis sprinkled among the hyssop, borage, basil, chamomile, and mountain mint in her herb garden full of native pollinators. “The flower is amazing to watch develop,” she says. “There’s no other plant like that.” Growing cannabis takes knowledge, time and attention, Sheldon adds, but anyone with good intentions can do it. “You’ve gotta have the attitude that you’ll win some, you’ll lose some, and it’s a learning experience,” she says.